Painted just three months before his death, this iconic image of Collins St shows how Gill had become an accomplished artist, even though by this stage of his life he was living in poverty and his work had fallen out of fashion. 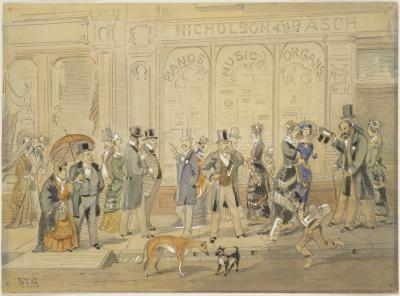 This original work shows the Block, Collins Street. 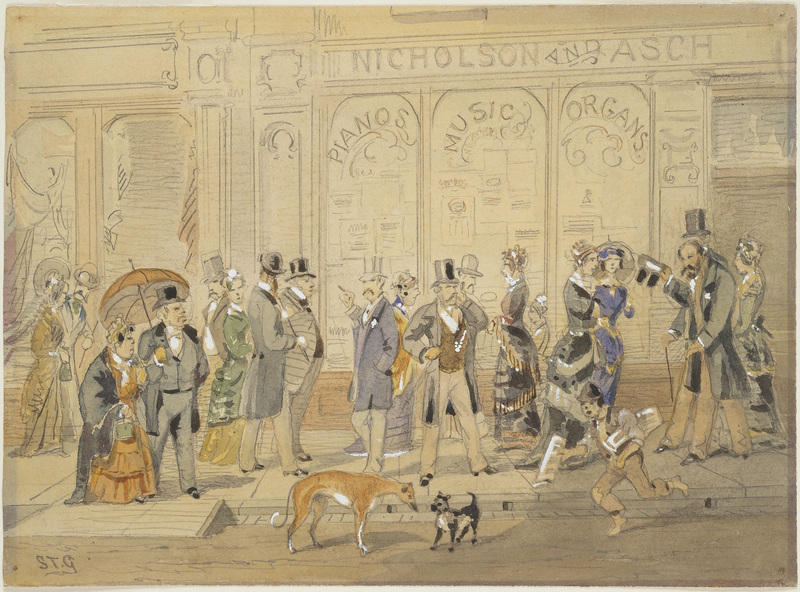 Also known as the 'Paris end' of town, walking the length of Collins St in your best and finest clothing was a Melbourne instutution from the 1860s through to the 1930s. It was Saturday morning and fashionable Melbourne was "doing the Block". Collins Street is to the Southern city what Bond Street and the Row are to London…Portly merchants, forgetting Flinders Lane and incoming ships, walked beside pretty daughters; and the representatives of swelldom were stalking along in their customary apparel of curly brimmed hats, high collars and immaculate suits. S.T. Gill, 1880. Original artwork: pencil, watercolour, white gouache on paper.